Following international acclaim, including Estonia’s first Grammy Award, for their Grieg, Sibelius, Tüür and Pärt recordings on Erato, the Estonian-born conductor Paavo Järvi and the Estonian National Symphony Orchestra turn to rarely performed choral works by Dmitri Shostakovich. The new release confirms Järvi’s reputation as a conductor with a deep understanding for the music of Shostakovich, as well as a particular affinity for choral music, which has a strong tradition in his homeland. 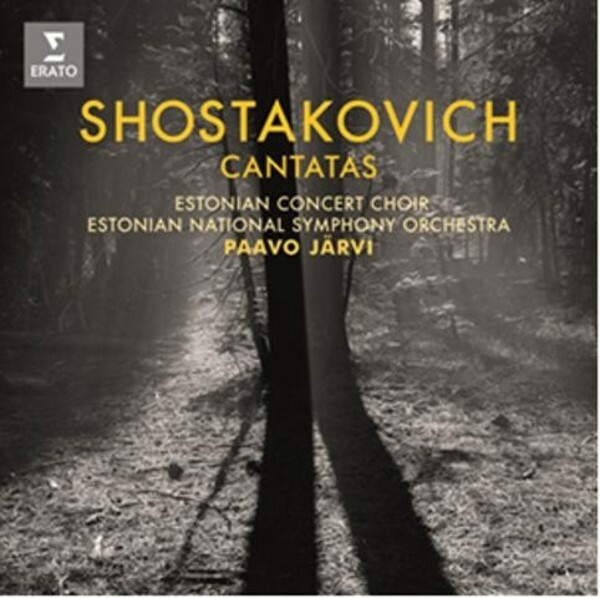 These cantatas have a particular significance in Estonia – a former Soviet Socialist Republic under Stalinist rule – where, according to Järvi, the orchestra’s performance of the works was “scandalous”. Shostakovich composed Song of the Forests in 1949, a year after he had been publicly condemned by Stalin’s regime for the anti-Soviet nature of his music and forced to publicly apologise. A large-scale patriotic oratorio for tenor and bass soloists, children’s choir and mixed choir with orchestra, Song of the Forests is set to text by the Soviet poet laureate Yevgeny Dolmatovsky that rhapsodises about Stalin’s post-World War II reforestation programme in Russia and Siberia – a message that takes on renewed environmental urgency today. The work earned Shostakovich the Stalin Prize in 1950. Shostakovich composed The Sun Shines on our Motherland in 1952, to another text by Yevgeny Dolmatovsky, for mixed chorus, boys’ chorus, large symphony orchestra and a brass band of trumpets and trombones. The sun symbolises the Communist Party, leading Russia toward the future. By the time Shostakovich composed The Execution of Stepan Razin for bass, concert chorus and orchestra in 1964, Stalin had died and the composer felt able to take a few risks under the regime of Nikita Khrushchev. The cantata is set to a grisly poem about a 17th-century Cossack revolutionary. Järvi calls the work an “absolute masterpiece” and a “critical view of the Soviet regime”.